Doug is a 33-year-old software developer. He has talent and was a major contributor to some of his employer’s best selling products. Doug had some ideas for creating a new product. When he approached his superiors about his idea, he was told, “That’s not really the direction we want to go,” and similar sentiments. So Doug went back to work on the product his employer wanted him to work on. But Doug had a pretty good feeling about his new product idea. He thought it had a chance of being successful if he could devote the time into developing and testing it. And the answer he kept coming up with was, “No, too risky…how would I support myself…what if no one is interested in buying it…” and so on. Eventually, Doug took the plunge and quit his full-time, secure, high-paying job. He figured out a way to work part-time so he still had enough time to devote to his own project. Doug’s software product became a moderate success — not lottery-winning revenue, but enough for him to continue developing more products and growing his business. 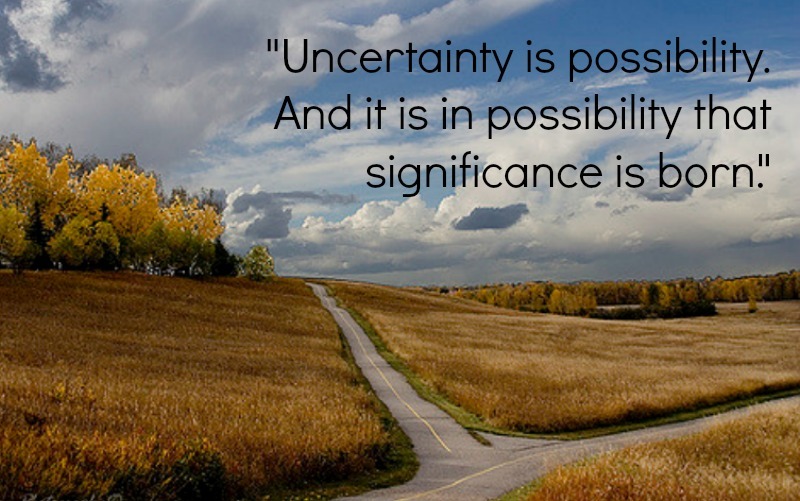 What Can We Learn from Doug about Uncertainty? Being a little uncertain isn’t necessarily a bad thing. It causes us to take a moment to think things through. After all, we shouldn’t dive headfirst into major life changes without at least pondering the possible outcomes. 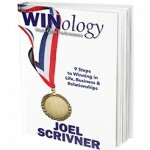 Pitch your ideas to trusted friends and advisors: Victory is made sure by much counsel. Doubt is okay — but the trick is to let this uncertainty help you, not hinder you. Embrace the pause and the uncertainty (just not for too long)! Use the following strategies during your “uncertainty pause” and you’ll ensure your next big step is in the right direction. “The Future” can be a big and looming concept. Like Doug, chances are you felt some apprehension the last time you made a major life change, whether it was moving to a new city, changing jobs, buying a house or committing to a serious relationship. You were probably a little nervous — or maybe even scared — about the big change. Like Doug, now does it seem almost comical you felt scared about the change? This provides you with some pretty solid insight that fear of change is normal and temporary! Make a list of the best things that can happen — and the worst things that can happen. Don’t go overboard! Use strategy, real-world examples and common sense to play this out. Consider which is more likely and how you would overcome potential hurdles. There’s a reason you’re taking this next step, so what is it? What do you want to accomplish by moving forward? Keep this at the forefront of your mind, so you never lose perspective on why this step is important for your life’s path. When you made a big decision before, what helped you move forward? What slowed you down? Are there any patterns — like procrastination, not asking for help or underestimating the time or financial commitment — that made previous major life shifts more difficult than they needed to be? By recognizing your triggers, as well as what you’ve done to overcome them, you’ll add an extra layer of preparedness and confidence — no matter what this new phase of life throws you. Whatever you do, don’t let uncertainty paralyze you and prevent you from taking your big step. And once you’ve made the step, don’t stand still – keep going! And best of all, once you’re comfortably adjusted in your next phase, there’s nothing stopping you from finding, recognizing and accomplishing that next “Big Step” that’s just waiting for you! We’ve talked about how to stop talking and start doing in a previous post, so click for more tips on taking your next big step! What big steps have you taken in your life? How did you feel then compared to now? Let us know in the comments section below! Making major life decisions usually involves some uncertainty - here's how to turn uncertainty into an asset. I started my career over at 43 because I hated what I was doing. That was certainly a nerve-racking experience for me. 6 years later, I couldn’t be happier. I took a less risky path to starting my business. I continued to work my regular full-time job while dedicating every moment of my “free” time to pursuing my company. Once I built up my client base, I left my regular job. I feel that picking up and moving 400 miles from my family all by myself was a large step for me. I can remember at the time, family friends placing bets on when I’d be back and I must admit, I thought I might be myself; however, that was over ten years ago now.